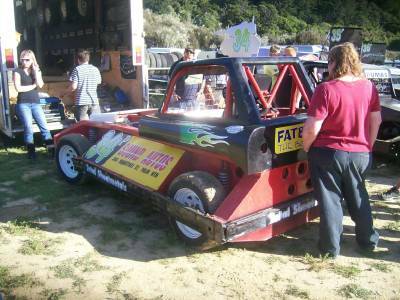 Location - The track is conveniently located near the centre of Palmy. Coming in on the main road from the north it's about five blocks to the right of the square that marks the centre of the city. 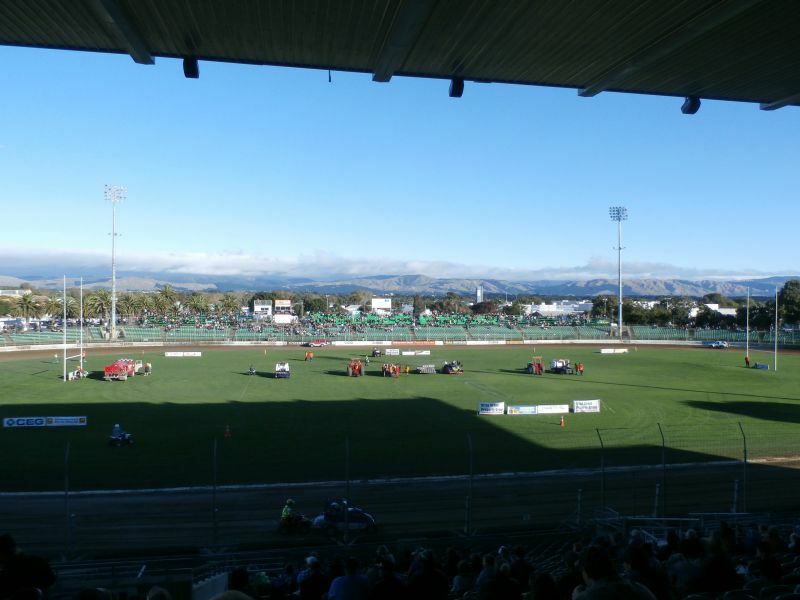 The track is easily accessible from all of Palmy. Parking - Parking is available at the track but there is plenty of parking in the blocks around the track so don't pay any extra to park at the track. 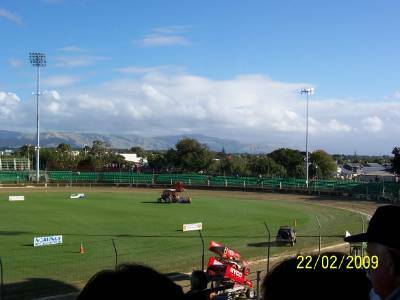 Premiere Meeting - The Superstock Teams meeting traditionally held on the first weekend of February is one of the premiere meetings in all of New Zealand Speedway. The event is a sell out every year and sees fans don the colours of their team. Fans travel from all over the country to attend this meeting. Make sure it is on your speedway bucket list. 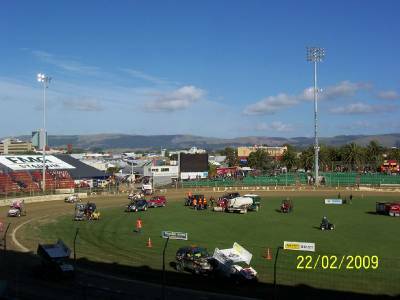 Also worth attending - Given the standard of Superstock racing at the track the Manawatu Superstock title is not to be missed. 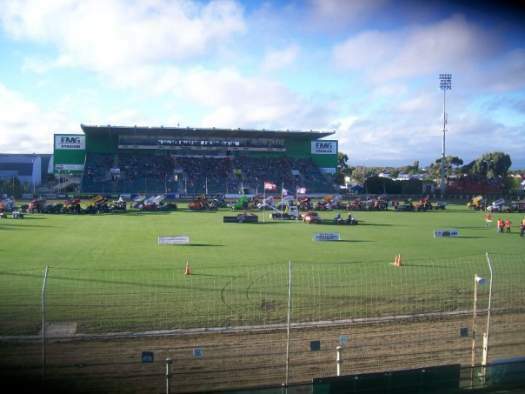 Best spot to sit - Arena Manawatu is not short of a good pozzie. You can't go wrong really. Personally although the main grandstand looks appetising I like the front straight behind the starter. 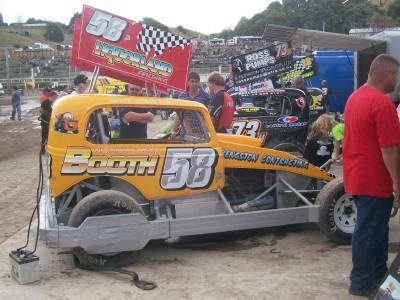 Classes run - Youth Ministocks, Adult Ministocks, Stockcars, Superstocks, Sidecars, Solos, Minisprints, Sprintcars, Streetstocks. Uniqueness - For a track of it's size Palmy is very narrow. It is a track where there is nowhere to hide. It can also cater to the non-contact classes although the likes of Sprintcars and Super Saloons require supreme skill to pilot around here at top speed. 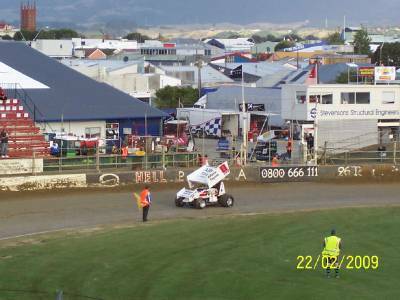 Add to that the history of the place and the quality of the facilities and Palmy is undoubtedly in the top tier of New Zealand Speedways.